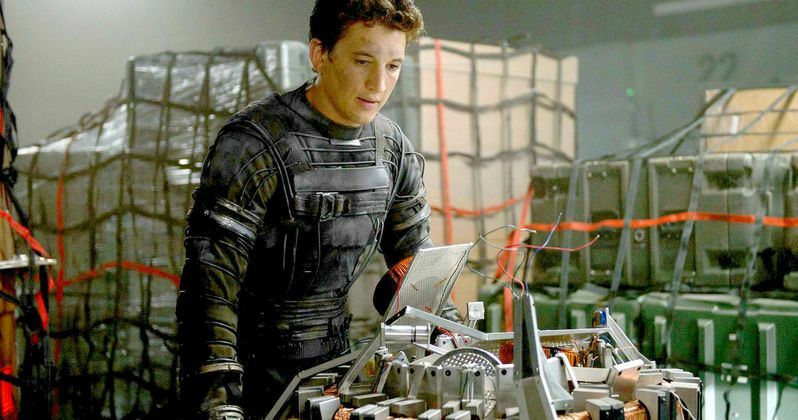 Just hours after a new Fantastic Four poster debuted, 20th Century Fox has unveiled a brand new preview, which teases each of these beloved characters' powers, as a tie in for the MovieTickets.com mobile app. These new scenes take place in a government facility, where The Human Torch (Michael B. Jordan), Mr. Fantastic (Miles Teller), The Invisible Woman (Kate Mara) and The Thing (Jamie Bell) showcase their powers, along with an ordinary guy named Carl, who is shown using the MovieTickets.com app. While we don't see a ton of new footage, we haven't seen much of Mr. Fantastic's stretching abilities until now. Fantastic Four, a contemporary re-imagining of Marvel's original and longest-running superhero team, centers on four young outsiders who teleport to an alternate and dangerous universe, which alters their physical form in shocking ways. Their lives irrevocably upended, the team must learn to harness their daunting new abilities and work together to save Earth from a former friend turned enemy. The supporting cast is rounded out by Toby Kebbell, Tim Blake Nelson and Reg E. Cathey.